We're adding wishlists, favorite sellers (with a feed of recent items) and a few bug fixes. There are also share buttons on wishlists. 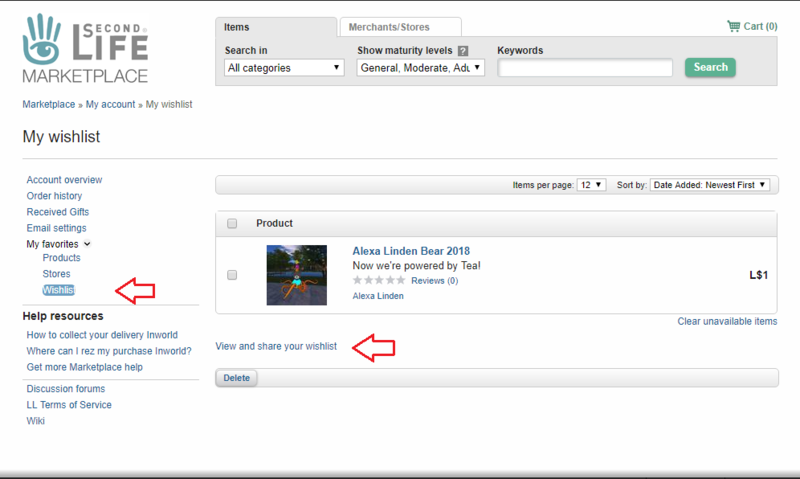 Stores can be favorited on the main store page, and stores can be removed via the delete button on the list. Favorite stores can be found by viewing /favorite_stores while logged in, or via the favorites links in accounts. Shows your favorite stores, including up to four of their most recent products. Avatar Brands were not visible when editing, and would then get reset as a result. That’s frustrating and we’re sorry. 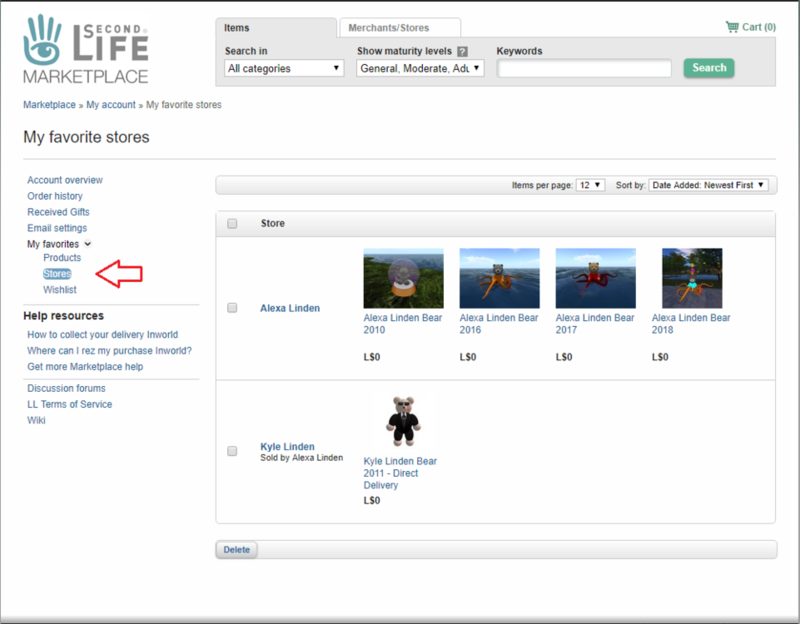 The related-item pickers (demo, related items) will no longer show archived products - but will show unlisted. We know you think your product is awesome. That’s why you’re selling it! 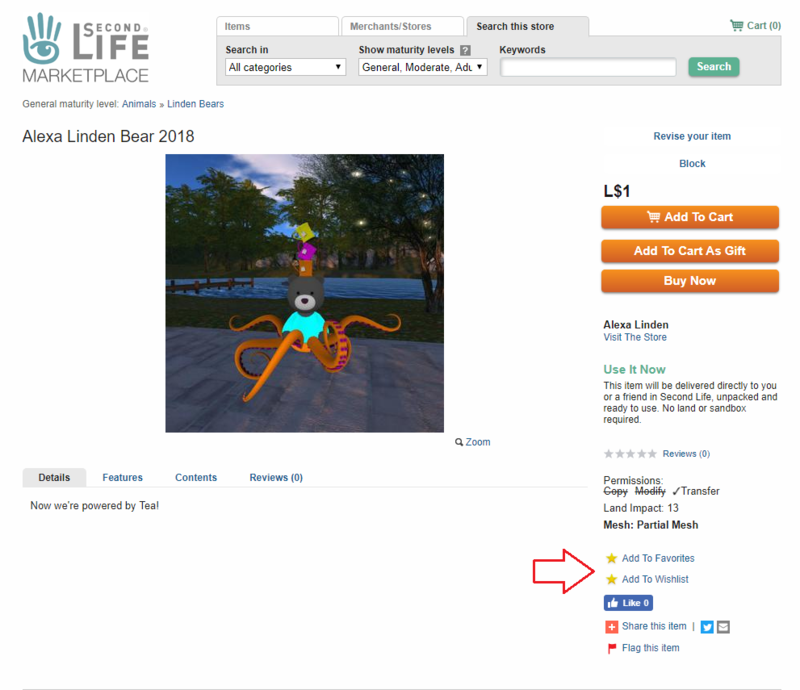 However, Merchants can no longer review their own listings. 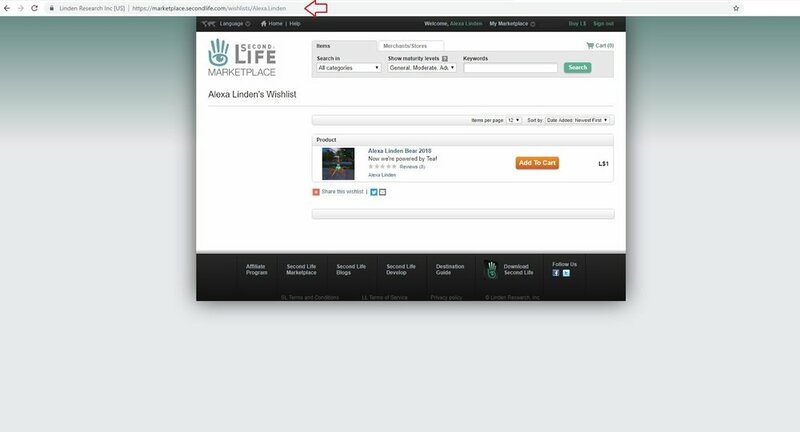 When you change display options on your Manage Listings page, you will go to the first page of your listings. Whatever you chose to search by is what we’ll show you. We were accidentally overriding that with your sort from the previous session. Oops! Redelivering: when redelivering gifts, we would send a confusing email claiming to have sent the item to the gifter, even though we actually had sent it to the giftee. Listing limits: we were counting archived listings against your limit of 20000, but not anymore. We had recently replaced “Prim count” filtering with “Land Impact” filtering and then stopped finding all the expected results. We’ve located them and will return them to you once again. Category names were messed up on some products. A re-index has "unmessed" this.